MacBook short on USB ports? Wireless Headphones didn’t include a charger? We have solved this challenge beautifully. 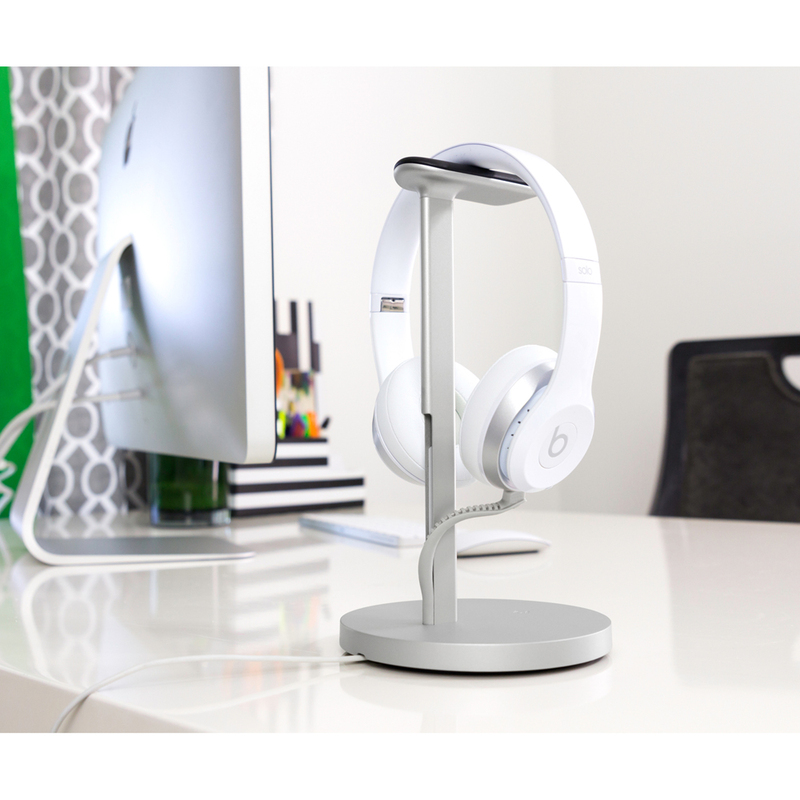 Meet Fermata, an elegant aluminum stand that not only holds and showcases your premium headphones but is also a full charging station that keeps you powered up! 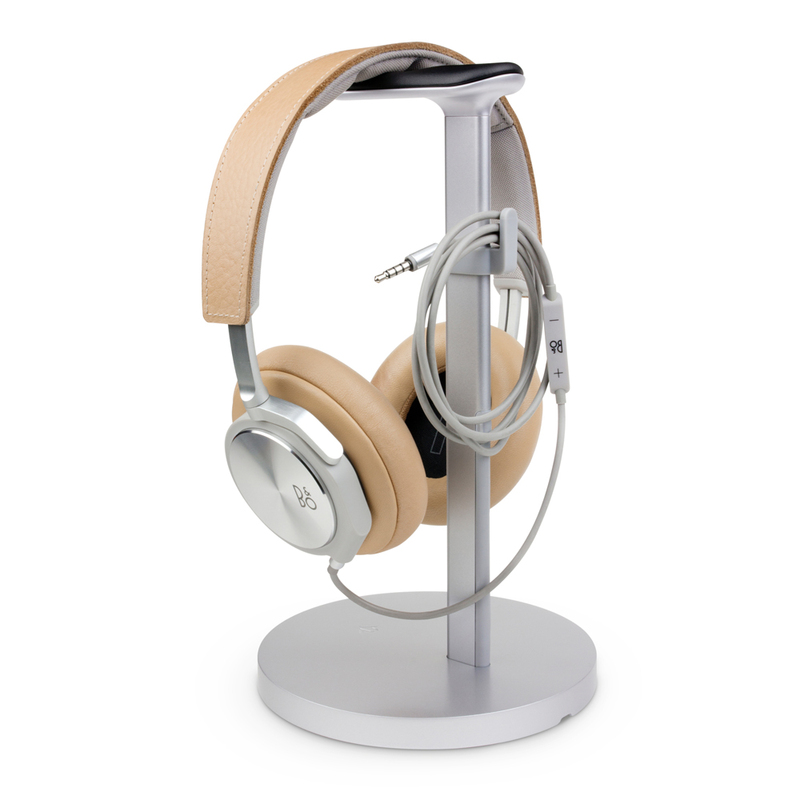 Set your headphones atop the stand’s buttery soft leather saddle and connect the integrated charging cable to power up your headphones for your next work day or business trip. 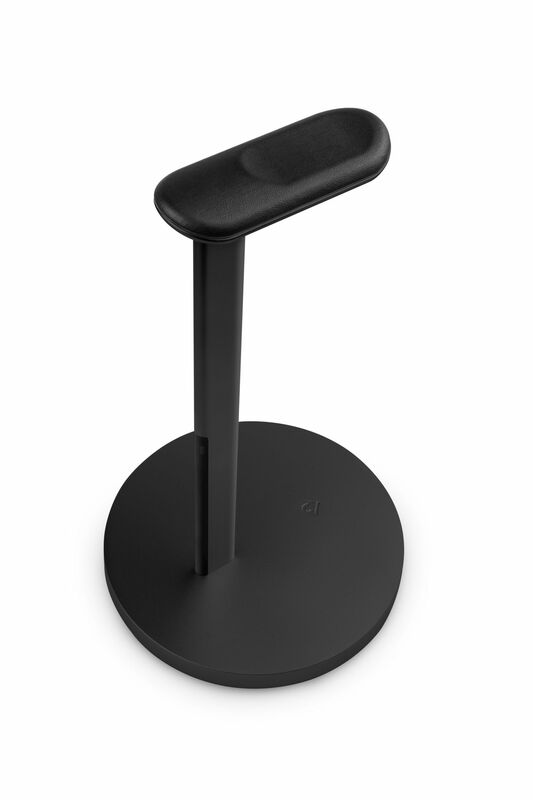 The functionality continues with an in-base, additional USB port to charge your iPhone or iPad. Now you can have all of your recharging needs housed in one beautiful stand. When you press pause on Apple Music, don’t toss your premium headphones on a table or stuff them in a drawer. Keep them safe and sound by hanging them on Fermata. The support saddle is topped with a baby soft, contoured leather pad, instead of a hard metal hook. The post is set back to ensure your leather headphone pads don’t rub against any support structure. 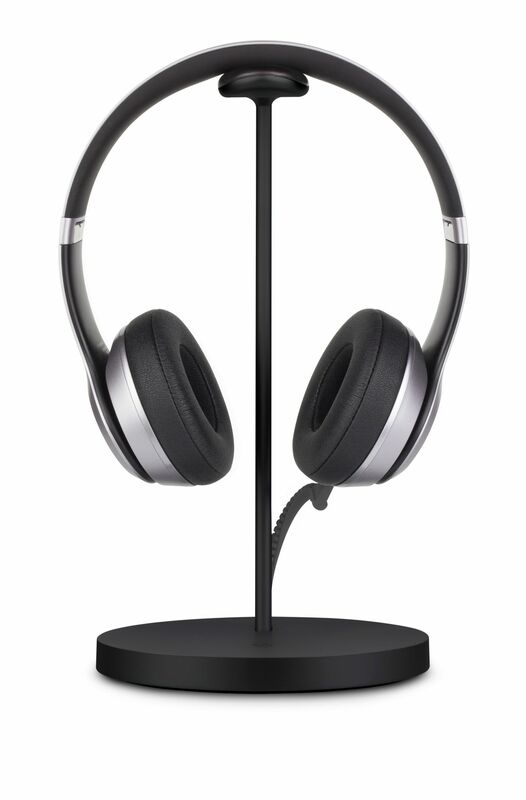 When your headphones cost more than a car payment, doesn’t it make sense to take care of them with an equally worthy stand? MacBook short on USB ports? Wireless Headphones didn’t include a charger? Twelve South have solved this challenge beautifully. 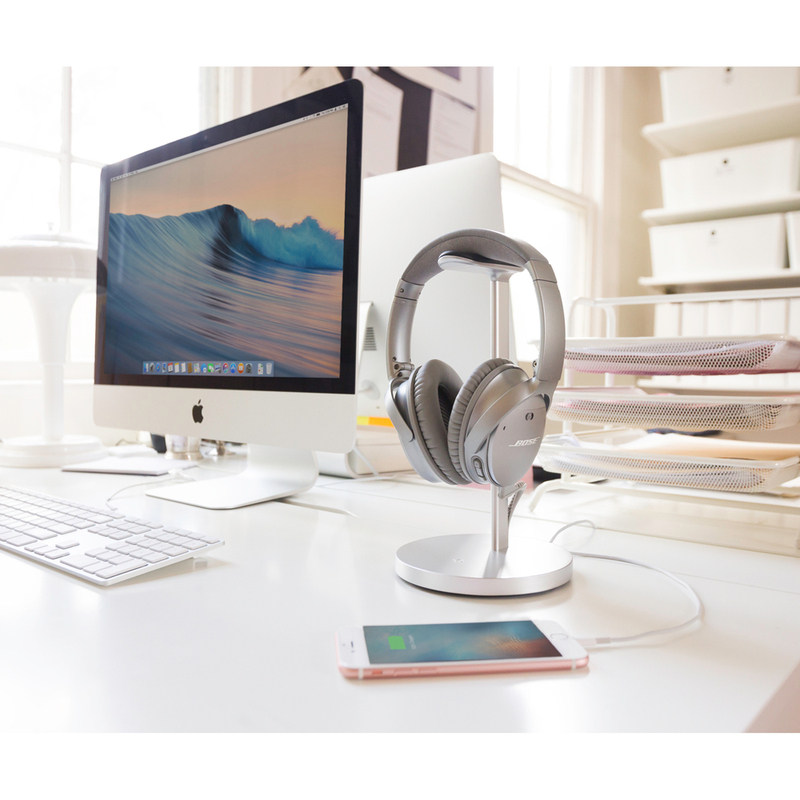 Meet Fermata, an elegant aluminum stand that not only holds and showcases your premium headphones but is also a full charging station that keeps you powered up. Set your headphones atop the stand’s buttery soft leather saddle and connect the integrated charging cable to power up your headphones for your next work day or business trip. 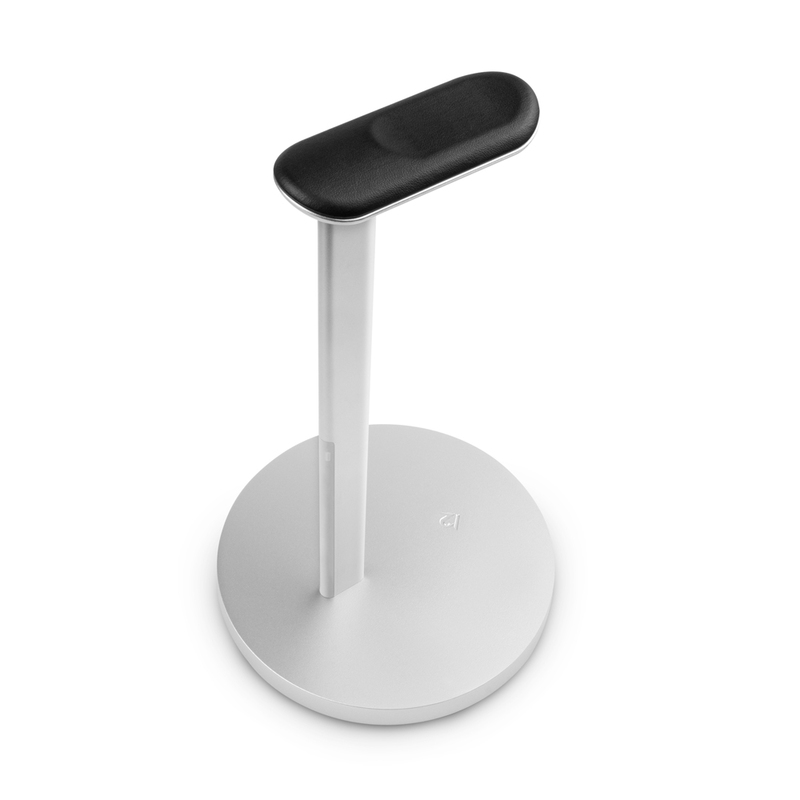 The functionality continues with an in-base, additional USB port to charge your iPhone or iPad. Now you can have all of your recharging needs housed in one beautiful stand. When you press pause on Apple Music, don’t toss your premium headphones on a table or stuff them in a drawer. Keep them safe and sound by hanging them on Fermata. The support saddle is topped with a baby soft, contoured leather pad, instead of a hard metal hook. The post is set back to ensure your leather headphone pads don’t rub against any support structure. 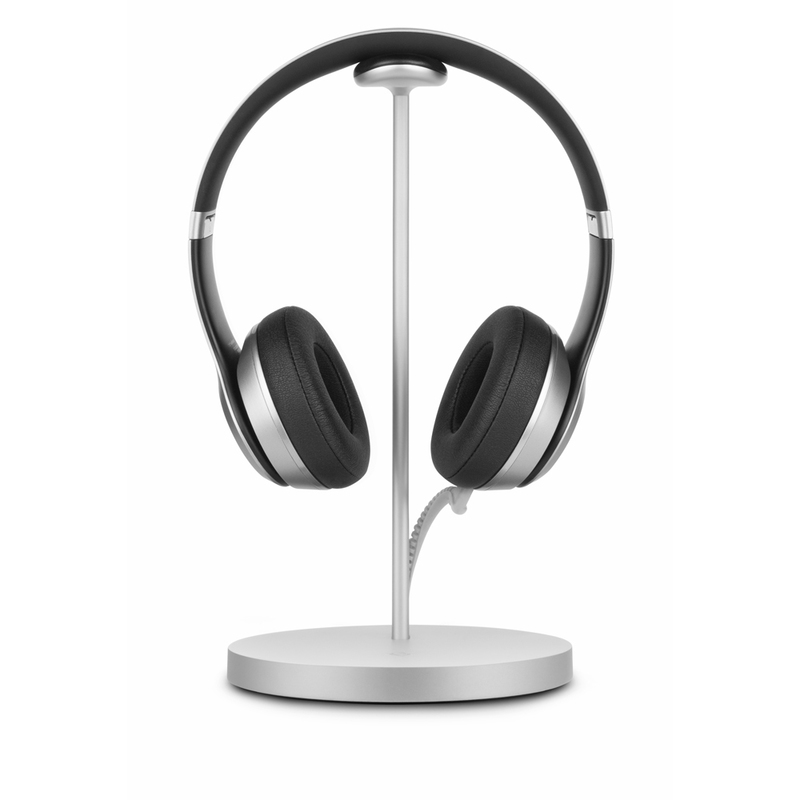 When your headphones cost more than a car payment, doesn’t it make sense to take care of them with an equally worthy stand? Ensure the beat goes on (and on and on). Wireless headphones are awesome, until the battery dies. Most models only include a short USB cable, but no wall charger! When you need to recharge, you have to hunt for a free USB outlet, which gets even trickier if you’re lucky enough to have a new MacBook. Or, you can have Fermata, a dedicated, wall-powered charging station to keep your wireless headphones fully charged and always ready to rock. Reversible micro-USB cable. Mic drop. The USB charging cable built into the post on Fermata has a clever, reversible micro USB connector that lets you connect it into your headphones without having to figure out which direction it faces. When you’re not charging your headphones, the micro-USB cable stays tucked away and hidden inside the Fermata post. That should be music to your ears. A dynamic charging duo from one super stand. Fermata comes with an AC plug and 2-metre power cable. It also has an extra USB port to charge your iPhone or even a Game Controller. To keep everything tidy, wrap the excess cable beneath Fermata’s base. 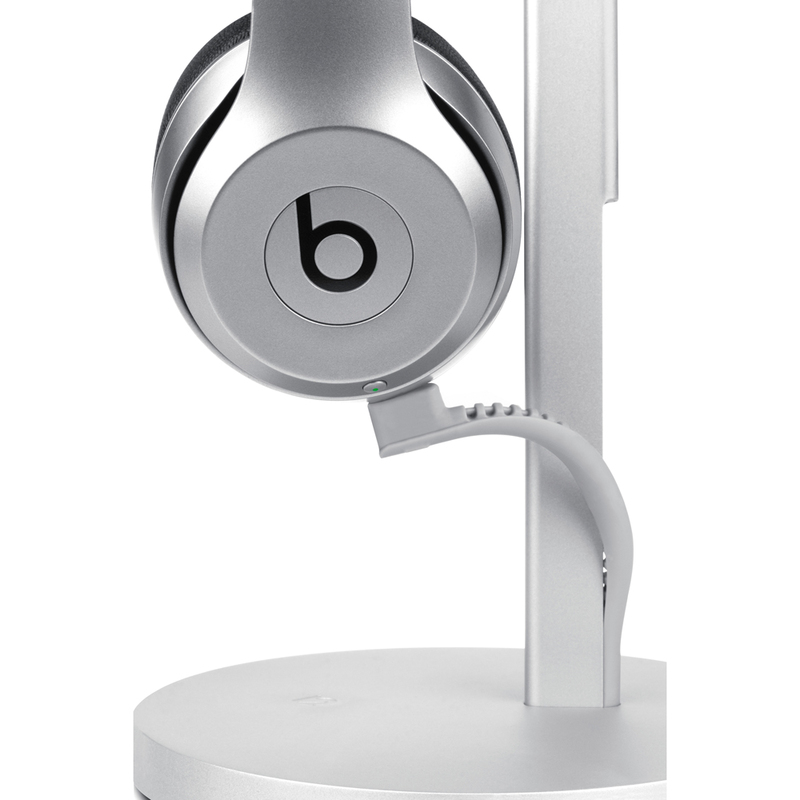 You know that fancy Headphone + iPhone Stand combo in the Apple Store? You can now have that on your desk. Check out our other items for Apple Mac, iPod, iPhone, iPad, Android and Samsung Galaxy users. All items are guaranteed genuine and sourced from Australian based distributors. Tax invoices issued for all purchases. Note: Headphones, iPhone and all other accessories are not included and for illustrative purposes only.